I still remember the day in 1968 when the genus “classic sports car” died. It was hard, on the numbers, not to agree with Davis’s view, and the appearance of a new generation of sport sedans and coupes over the course of the next few years begat similar reports, rendering the case for the uncompromising two-seaters Americans once revered ever more difficult to make. While the Datsun 240Z stood as the exception proving the rule, the arrival of each new sharp-handling four- or five-seater – from Datsun 510 to Ford Capri to Mazda RX-2 to Opel Manta to Saab 99 to BMW’s even hotter 2002, the tii – placed side-curtained sentimentalists like the preteenaged yours truly in the increasingly untenable position of defending old and woefully long-in-the-tooth favorites, especially those from England, against a cold, hard fact: if the goal was getting through a corner fast, a usable back seat was no longer an impediment. The tragedy for those of us who bled British racing green – an understandable affliction in my case, as Leonia, New Jersey, my hometown, was also the site of the North American headquarters of the British Motor Corporation and, later, British Leyland, makers of MG, Triumph, Jaguar, et al. – was that there seemed to be no concerted effort by English sports car makers, once the world’s greatest, to respond to the challenge. As the British industry continued its long, slow implosion, successive mergers resulted in the pièce de résistance, the disastrous 1968 creation of the state-owned, multiheaded nightmare that was British Leyland. 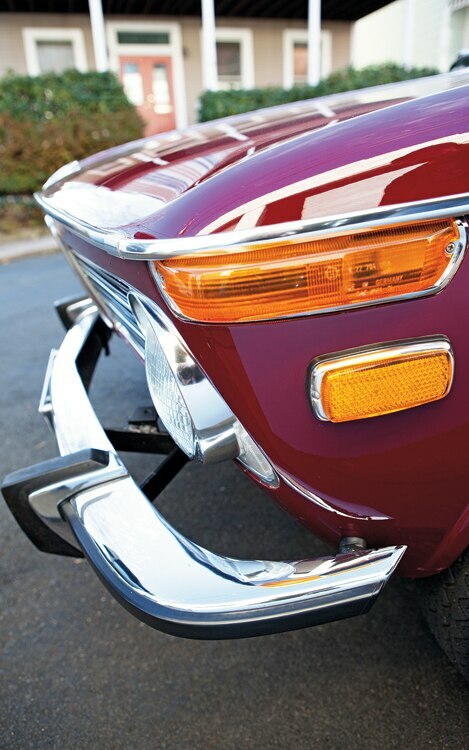 By the early 1970s, a big year in the British sports car world meant revised grille and wheel trims on the aging MGB, along with another double-digit loss of horsepower and, perhaps, a new set of tape stripes for the Triumph Spitfire. The Triumph TR6 of 1969 looked cool, but it shared doors and a windshield with the TR4 of 1961, and its antiquated body-on-frame construction recalled closely the TR2 of 1953. As far as we Americans could tell, the British weren’t going down fighting; the forward-thinking industrial enterprises and engineering wizards that had managed to captivate us in the 1950s and 1960s were now mysteriously going dark. The wedge-tastic Triumph TR7 of 1975 was not without interest – its optional five-speed gearbox and well-located rear axle seemed modern – and actually sold pretty well, although indifferent build quality would quickly lay its reputation low. With its V-8 engine and sleek lines, the four-seat Triumph Stag of 1970 also seemed a promising entry, but just about every one of them blew a head gasket on the maiden run home from the dealer. And so came the view that if you wanted a reliable, sporting ride, you’d henceforth be buying German, or possibly even Japanese. Britain had run out of gas, er, petrol. While BMW had courageously faced adversity down, Mother England was taking a powder. The automobile industries of both nations had known adversity. But, the story goes, the war-ravaged German company successfully capitalized on the popularity of the microcars it had been reduced to building in the 1950s. 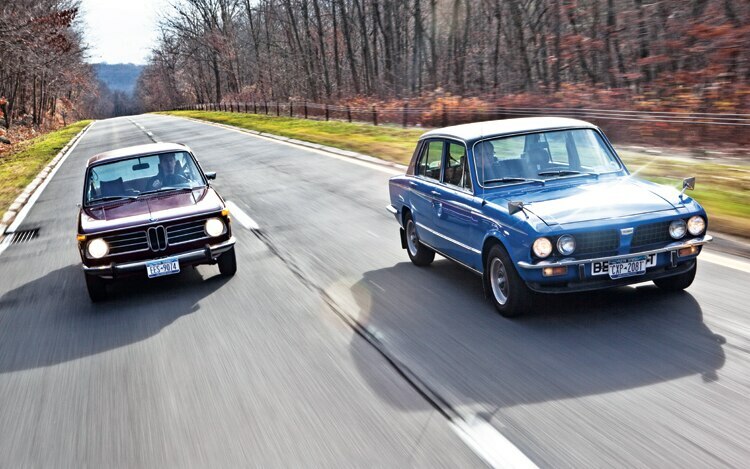 In the ’60s, the boxy but impressively competent 1500 and 2000 gave birth to the 1600 and the 2002, which were able to expand BMW’s forward momentum and keep it going. These cars’ success funded the 2500, in turn giving us the 3-series, the 5-series, and the many other cash-spinning delights that have since cemented BMW’s reputation as the world’s preferred sport sedan, or, as the company has it, the Ultimate Driving Machine. Meanwhile, the British were busy sticking rubber bumpers on crappy sports cars with boat-anchor engines, lever shocks, and body pressings dating back to the 1950s. But the truth is that the British industry was a lot closer to getting the future right than we in America ever knew. Its engineers actually performed remarkable feats on shoestring budgets, relying on pure smarts rather than huge volumes or mighty capital investments to achieve near-wonders. 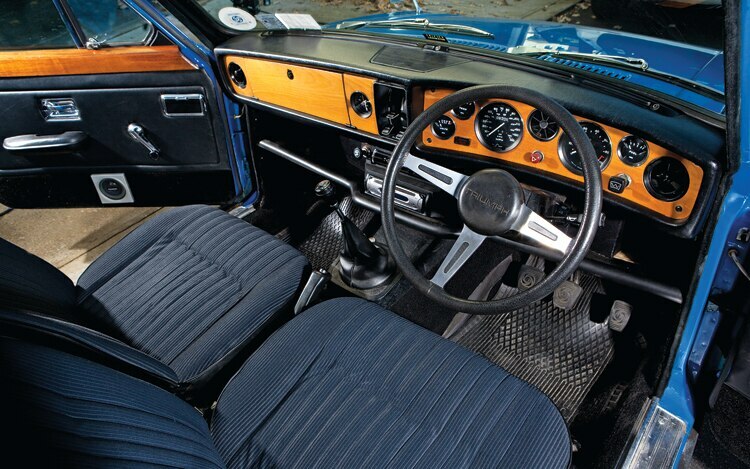 And Triumph, one of many former self-sustainers that were part of troubled British Leyland, came remarkably close to pulling off the exact same miracle that BMW achieved, in terms of technology and in terms of correctly identifying the fertile field of upmarket yet relatively affordable sedans with serious sporting credentials. For reasons of brokeness, inept management, labor intransigence, and internecine corporate squabbling, some of BL’s cars fell just shy of hitting the mark, and the ones that hit it never got to the States. Triumph, in short, could have – and should have – been BMW. As evidence, I give you the Dolomite Sprint, a unibodied Triumph sedan built between 1973 and 1980 and never sold in America. 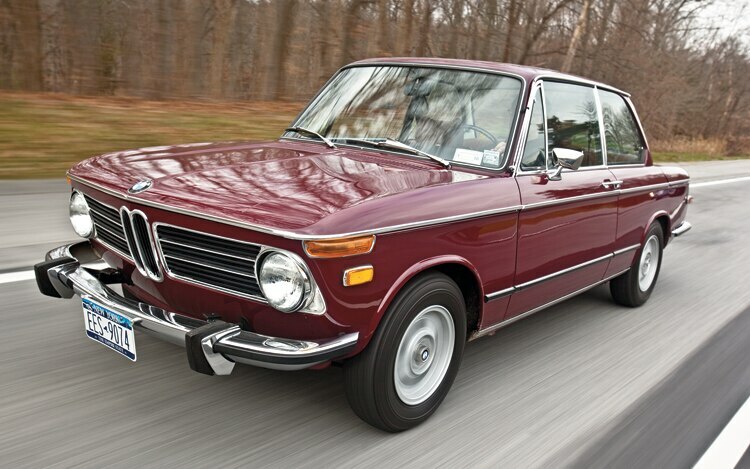 It is, I am here to tell you, in many, if not all, ways equal to or better than a 2002, even that classic Bimmer in its most desirable form, the injected 2002tii. How do I know this to be true? Well, I happen to own one of each. 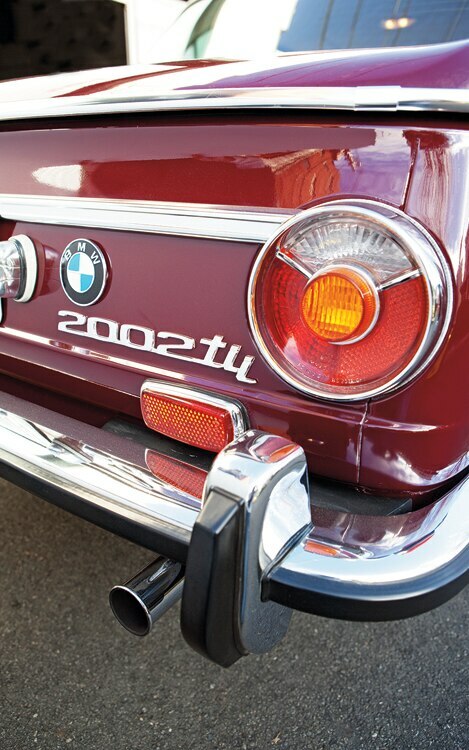 In this corner, a 1973 2002tii with just over 32,000 documented miles from new. An original-paint (Malaga was BMW’s name for the maroon hue), rust-free wonder with a mint interior, it was purchased a little more than two years ago from the family of Sam Smith, formerly of this magazine. I wasn’t looking for a 2002tii, but when Sam’s dad, Dan, sent me pictures, I realized that I ought to be. Quickly arranging a classic-car loan, I got the BMW trucked to my door before anyone could change his mind. Its condition is almost too good for the likes of me, and it drives the way I imagine a new 1973 BMW did. 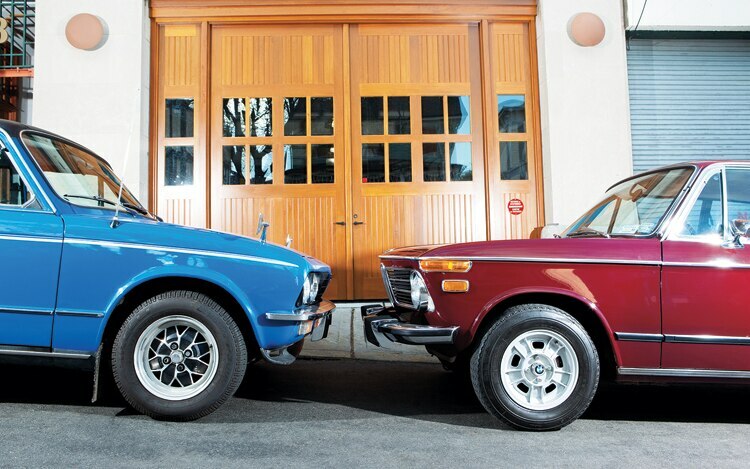 Yet after a couple years’ careful comparison, I think I like the Tahiti blue 1979 Dolomite Sprint shown here better. It’s not so squeaky clean or so perfectly original. Indeed, it was re-shelled in England by its previous owner, a Leyland factory manager who happened to know where the last bodies-in-white were stashed when the marque expired. After its original body began disappearing in the traditional form of iron-oxide dust at about 65,000 miles, he pulled this one from his storehouse and set to work. I bought the car over the phone not long after its reassembly while on a trip to England in the summer of 2004. Phil Llewellin, the late Automobile Magazine scribe, on assignment with me at the time, sighed when I told him about my latest purchase and suggested a drink, which signified nothing with our dearly departed friend other than that it was almost dark and time for a pick-me-up. The world’s very first sixteen-valve four-cylinder production engine moves the 2300-pound Dolomite with unexpected authority, 60 mph coming in less than nine seconds, according to contemporary road tests – very un-’70s-like and about a second sooner than the slightly heavier BMW despite a few less horsepower (127 hp versus 130 for the European-market tii). Remember, anything less than eleven seconds was considered fast when the Dolomite Sprint was introduced in 1973, and it was still fast in 1980, when Triumph ended production of the model. Even today, it will more than keep up with traffic while delivering as much as 35 mpg on the highway, more than I see with the 2002tii. Both cars top out at more than 115 mph. Designed by Lewis Dawtrey under the guidance of Spen King – the father of the Range Rover who oversaw Triumph as BL’s engineering chief – the Sprint cylinder head’s sixteen valves are actuated, unusually, by but one overhead camshaft. It dines through a pair of SU carburetors rather than the German car’s more elegant Kugelfischer mechanical fuel injection, and although the Dolomite doesn’t rev quite as smoothly as the BMW, it more than does the trick. In an interesting historical footnote, the Triumph engine’s bottom end, shared with the TR7, was in fact the forty-five-degree slant four that Dawtrey and Triumph’s master engineer, Harry Webster, designed in the 1960s for shared use with Saab, whose own engine experience prior to the introduction of the 99 was of the two-stroke variety (although Ford’s German arm provided a V-4 beginning in 1967). Sent Triumph’s way by the venerable British internal-combustion consultancy Ricardo, Saab needed something bigger for its upcoming 99 of 1969. The engine was, in further footnotes to obscurity, one-half of the V-8 that powered the Stag minus many of its teething problems. As a Saab, the engine made it, with numerous redesigns, into the ’90s. The TR7 was to be sold with the sixteen-valve engine as the TR7 Sprint, but thanks to the Rover V-8-powered TR8 and erratic decision-making at Jaguar Rover Triumph (the successor firm to BL), it never reached production, although some resourceful folks have built their own TR7 Sprints, with excellent results. The BMW’s cabin is airier than the Triumph’s. And don’t get me wrong, I love the BMW’s upright visage, slim pillars, and round taillights (changed for big-bumper 1974-75 editions), not to mention the early reappearance of the firm’s signature Hofmeister kink. But, in my book, Italian designer Giovanni Michelotti’s work for Triumph here takes the cake. Although Michelotti would birth some real turkeys in his day (the Reliant SS1, one of his last works before succumbing to lung cancer in 1980, was one such miscue), the overall work of Triumph’s go-to design guy in Italy for almost twenty years is massively underrated. Put another way, you’ll never persuade me that the designer of the Herald, the Spitfire, the TR4, the Stag, and the very BMW-like-in-concept Triumph 2000 and 2500 was anything less than a colossal genius. Fun fact: Michelotti also designed the 2002 and its predecessors, as well as BMW’s 1500, 2000, and even the carmaker’s little 700. So, either way, he wins here. Proving the resourcefulness of the longtime collaborators, the Dolomite grew out of the Michelotti-designed Triumph 1300 of 1965, a modestly upscale front-driver with a then-avant-garde Kamm tail that was meant to replace the Herald but which turned out to be both too expensive to build and a poor candidate for the easy upscaling that the company had identified as its future. So the body was tweaked by the designer and reengineered to allow the use of bigger engines in both front- and rear-wheel-drive versions. The all-independent suspension was lost and the cost was absurd, but, somehow, the car managed to work better and get better-looking in the process. Moreover, the attractive aluminum wheels that the Sprint sported were the first ever offered as standard equipment on a British car. The tii’s steering is quite nice, but its worm-and-roller actuation is no match, in terms of feel or response, for the Dolomite’s rack-and-pinion setup, which is vivid, telegraphic, and ultrareactive. With its MacPherson struts and independent rear suspension, the BMW offers a generally superior ride, but the Dolomite, despite its humble coil-sprung live rear axle and more conventional front suspension, feels more chuckable. On the debit side, the Triumph’s disc/drum combination, while powerful, is more prone to locking up than the 2002’s identical-on-paper arrangement, beefed up for service in the tii. The BMW’s floor-hinged pedals are an old-world touch that looks period cool but otherwise leaves me cold. 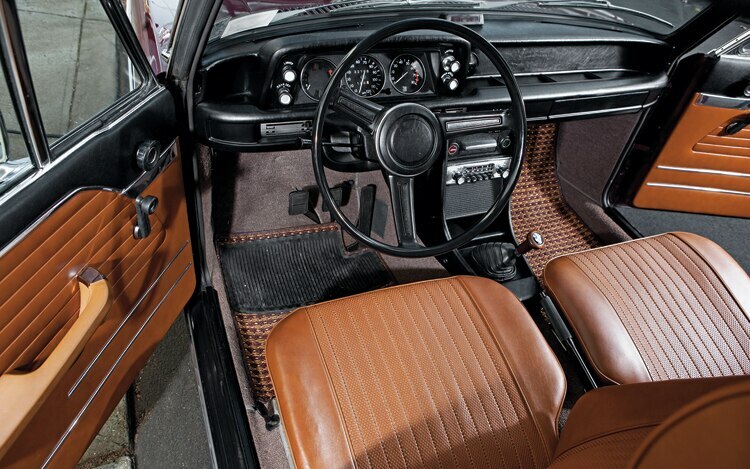 With a big slab o’wood dash, crammed with traditional round white-on-black gauges, wood door cappings, corduroy seats, and thick-pile carpet, the Dolomite’s cabin environs are more comfortable and inviting. Four doors make it more practical and accommodating for back-seat passengers, as do roll-down rear windows. More important, the Triumph’s six forward speeds, made possible by Laycock de Normanville electric overdrive and actuated with a switch on the shift lever, make it not only more economical but also the more relaxed highway cruiser – it’s turning a mere 3000 rpm at 70 mph, while the BMW is fairly screaming at almost 4000 rpm. Nobody knows what the #$@! it is. Everybody knows somebody who had a 2002. 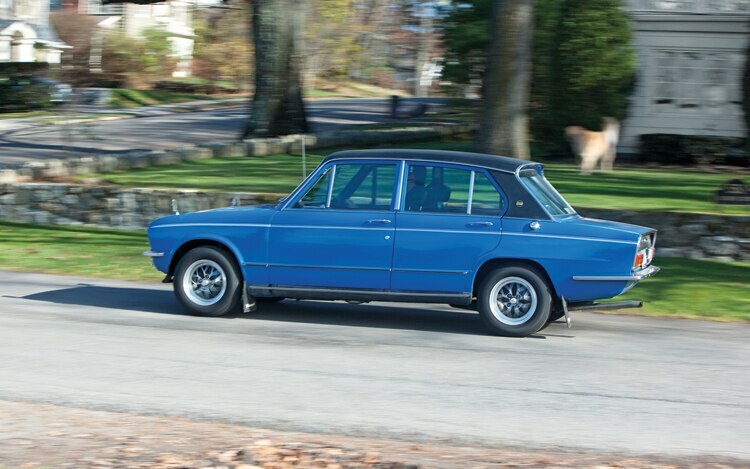 Although the 2002tii is a pretty rare car today (with an overall production between 1971 and 1975 of just 44,478), the Dolomite Sprint is rarer still (total built in eight years: 22,941). In the United States, you’ll go a long, long time before you see another, with a best guesstimate of eleven of them privately imported to date. That number creeps ever upward, though, owing to EPA and DOT exemptions on importing cars twenty-five years or older into the States – and to the good word getting out. Since the nicest Sprint in the world isn’t worth much more than $15,000 – less than half of what you’d pay for the best 2002tii – you’re wasting money right now by not finding one for yourself. As always, look out for rust and buy the best one there is. 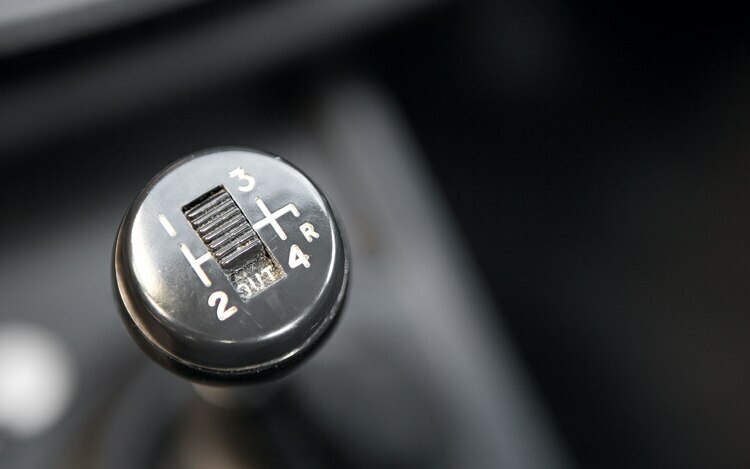 If you don’t like right-hand drive, try France, Germany, or Italy, left-hand-drive countries whose gearheads also cottoned to the Dolly Sprint. In closing, let me say that I love both of these cars. More than anything, they remind me of why the old formula for practical fun – 2300-pound cars with rear-wheel drive and revvy two-liter engines – was enough to turn the world on to reading a new hymnal. Would somebody hurry up and give us faithful some more, please?